Intention is generally viewed as a pit bull kind of determination propelling one to succeed at all costs by never giving up on an inner picture. In this view, an attitude that combines hard work with an indefatigable drive toward excellence is the way to succeed. However, intention is viewed very differently in this audiobook. Dr. Wayne W. Dyer has researched intention as a force in the universe that allows the act of creation to take place. 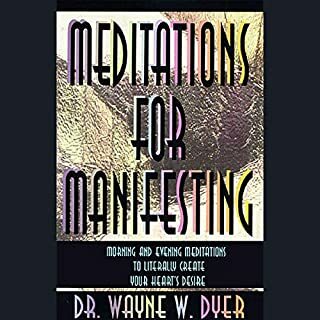 This audiobook explores intention, not as something you do, but as an energy you're a part of. We're all intended here through the invisible power of intention. 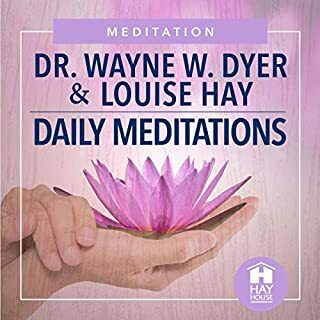 This is the first audiobook to look at intention as a field of energy that you can access to begin co-creating your life with the power of intention. 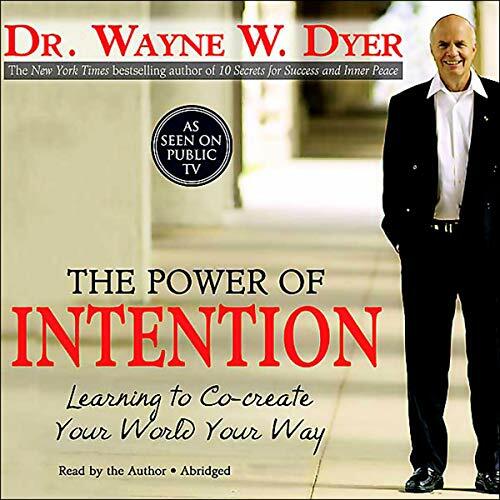 ©2004 Wayne W. Dyer (P)2004 Hay House, Inc. 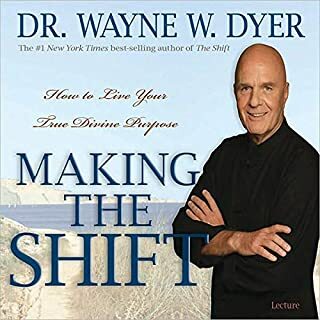 Absolutely wonderful, thank you Wayne Dyer for sharing your wisdom. Can't wait to hear it again. I enjoyed this book and would definitely recommend it, but the narration was a bit fast to follow the teachings of the book. I find Wayne’s language a little bit confusing, and I would have liked more instruction and “how to” in this book. Great concepts though. It's a book that you must listen to again and again! I loved Wayne narrating. This is one of the most amazing books I have ever read. 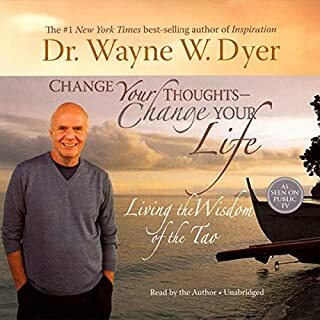 Wayne Dyer is a brillant thinker and a very enlighten person. 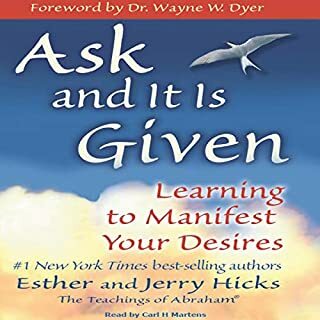 If you are interested in tuning in to your purpose, understanding your own power, and learning how to connect to the power of intention - read this book. 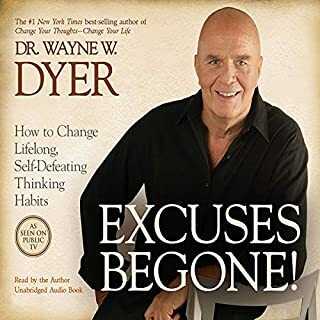 You won't agree with everything Dyer says, but take all the rest and put it to work and you will be amazed at the difference you'll see in your life. 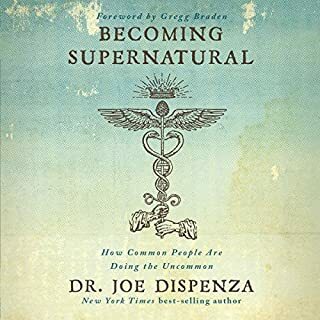 This is an outstanding seminar style type audio book. If you have seen the movie "What the Bleep!#@! Do We Know". 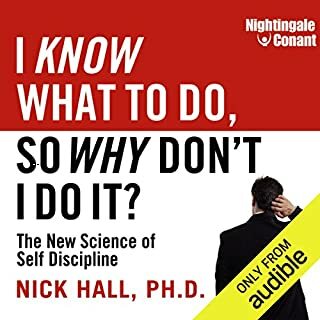 This audio book will guide you through "Creating your day" with intent. Once you have mastered that (and everyone can!) you will be able to shape your life to what you want it to be. I have already listened to it 3 times and still see new ideas and connections that I haven't had before. Use your intent and create your day! Due to my up-bringing, I could very well say "been there done that - heard that even". 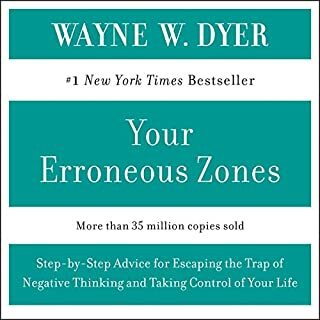 But, in a world where it's so easy be driven into negative thinking, this book served me as a great reminder of a basic truth that we all seem to know but very easily forget. Recently I found myself asking questions as to what I really want. I recently broke off a long term relationship with someone very dear to me and this has forced me to reassess certain goals and figure out what it all meant for the future. 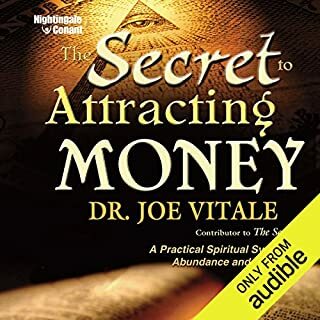 It seems like this major life change has coincided with listening to alot of self development and spiritual audio books. The Power of Intention is something I reccomend for how direct the message is. I want to make clear I have some caveats however. I don't think Dyer is that original. I think he takes from alot of great minds in compiling his philosophy and most of his ideas. Nevertheless his presentation did genuinely affect me; helping me sort through concepts I already had realized but hadn't clarified. What are the messages I most responded to? Well, letting yourself live life without getting bogged down by outter deterrents. The biggest revelation I'm taking form Power Of Intention is the need to live life inward-out, rather than Outward-In. I've known many people that strive for things based on what people think of them, what they have, and whether or not their job pays enough. The basis for action here is on outside stimuli and approval with no thought given to the inner drive that informs all healthy action. Dyer's message was just what I needed at a time when my ego took a big hit. I could have easily wasted further time feeling undue pain. Now my mindset is a million times lighter, and for that I'm thankful. You may be put off by how much Dyer quotes and his vocabulary with regard to certain concepts is sometimes unintentionally funny, but in the end there's enough truth here to overcome details like that. I especially reccomend it for people that are going through an especially stressful time. I assure you, this book willl show you how every experience (good and bad) is an opportunity to realize growth and happiness in your life. After watching his seminar on PBS I could not wait to listen to this book. He has helped me so much come to terms with the death of my husband, I am a transformed person. My family and friends are amazed at how far I have come in such a short time. He helped me to realize that death is not the end of life. I would invite anyone who has any issues they are trying to overcome to listen to any of his books or lectures. He is inspired "in sprite". This book is outstanding. It came into my life at exactly the right moment! What a pleasurable experience. This book is absolutely brilliant. I love it. It's practical, inspiring and fun. Ever since I've listened to this book, it gave me inspiration and the ability to appreciate my life, all of my life. 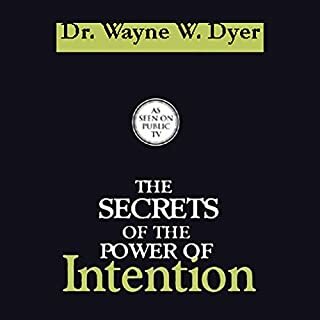 Where does The Power of Intention rank among all the audiobooks you’ve listened to so far? I love all his books, he uses easy language that makes for easy listening and his story is inspirational and relaxing. 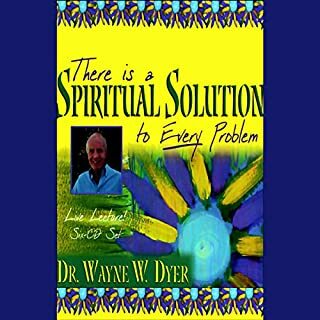 Have you listened to any of Dr. Wayne W. Dyer’s other performances before? How does this one compare? What did you learn from The Power of Intention that you would use in your daily life? Loved it. 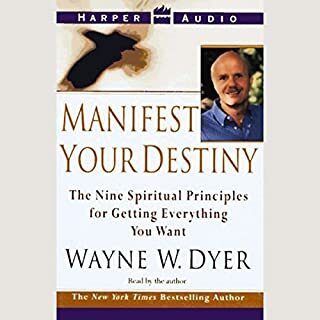 Beautiful book and equally read by Dr. Wayne Dyer. I simply love all his books. I have yet to regret buying a Wayne Dyer book. His teachings have such a powerful impact on your life. I loved the content of this book and I gleaned lots of ideas and inspiration from it. It’s certainly going to help me be more intentional with my actions. I did feel that it was read a bit too quickly though so I felt a bit like I couldn’t keep up and that I couldn’t process the new ideas I was hearing properly so I kept having to skip back and listen to bits again. But overall, highly recommended! Immediately relistening to this and going over my notes.... With an intention to elevate my current level of applying this magical teaching. Its worth it! 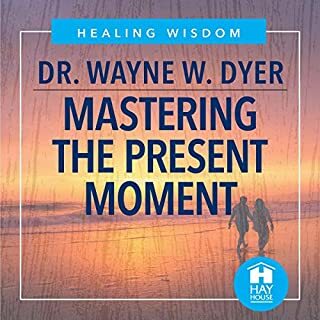 Thank you Dr. Dyer. Just what i was looking for. Gonna re listen now. 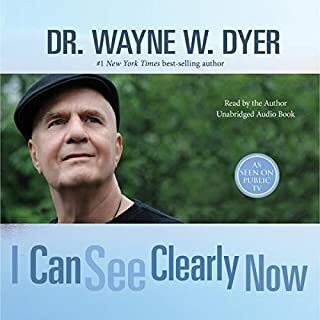 Nicely read as it is Dr Dyer reading himself. Excellently presented with steps to each point. I've been looking for that something to explain to me what this INTENTION really is and what it means as I have read about its in many books/audiobook. The dictionary wasn't enough. 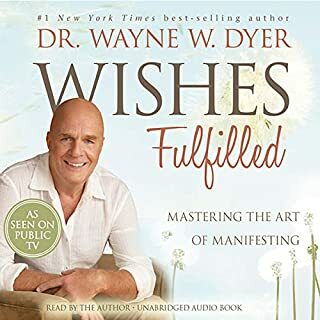 however Dr Dyer, RIP , has thankfully made sense of this... this is my second listen and I get it. I have bookmarked the bits I need to listen again, as human nature is forgetful, until it becomes a second nature habit. Thank you. 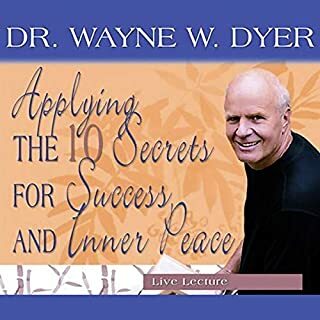 I love listening to Wayne Dyer talk to audiences, but the reading here isn't like that. It's almost too fast too keep up, which made it hard for me to concentrate. Always so inspiring! The book is a must have. Thank you Dr. Dyer for all you did for the world! 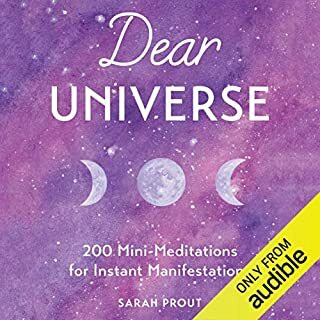 loved this audiobook, it made me feel calm and connected and brought me to a space I want to be in.